Parish volunteers offer their time and talent to fill the roles of Readers and Eucharistic Ministers at all weekend celebrations of Mass. Readers proclaim the readings during the Liturgy of the Word at the Mass and voice the petitions of the community during the Universal prayers. A prayerful spirit and willingness to practice are important to this ministry. Scheduling is flexible and easy through an online system that takes into account your availability. We also provide resources to ensure that readers are given the readings ahead of time and are comfortable with their readings. The USCCB's website usccb.org is an excellent resource and contains readings for each Sunday as well as audio for assistance with pronounciation and proclamation of the readings. Eucharistic Ministers distribute the Body and Blood of Christ at Mass. Those who serve in this ministry are reverent and respectful of the Eucharist and provided with training. Volunteers in this ministry are able to use an online scheduling system and may serve as frequently or as little as they prefer. Altar Servers assist the priest during liturgy in various roles including assisting with the Missal, the presentation and preparation of the gifts, and in carrying the cross in procession. Youth who are interested in becoming servers should at least be in 5th grade to participate in this ministry. Sacristans prepare the worship space and materials for the celebration of daily, weekend and Holy Day Eucharist. They provide leadership and support for the other liturgical ministers. 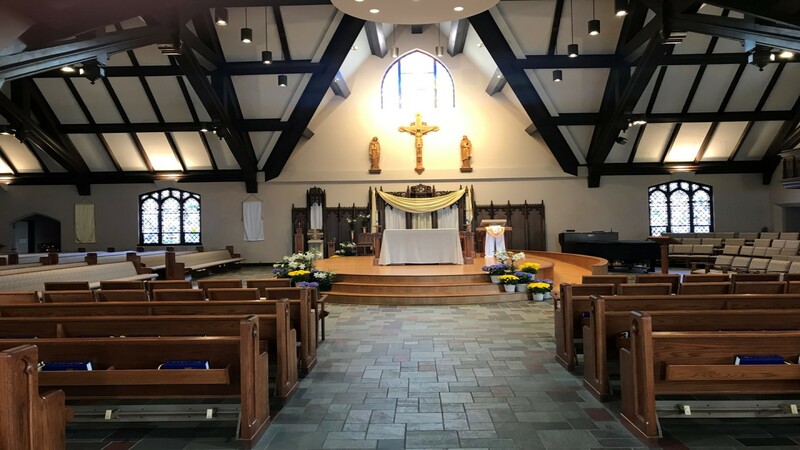 Ushers assist parishioners to find seating at Mass, usher during processions such as Communion, offertory collection, distribute weekly bulletins and tidy-up worship space after Mass. Greeters actively and enthusiastically welcome parishioners coming to Mass. They provide a wonderful first impression by opening doors for people when they arrive, assisting people in need and providing answers about facility locations and events. This is a great ministry for the entire family. Please contact Justin Krueger, Director of Liturgy and Worship at 729-4560 x108 or at [email protected] if you are interested in participating in one or more of these ministries.